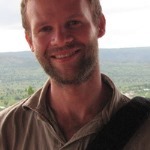 Congratulations to ESID researcher Tim Williams, whose paper, ‘The political economy of primary education: Lessons from Rwanda’, has been published in the August issue of World Development. The paper draws on Tim’s research for ESID, as captured in Working Paper 64 ‘Oriented towards action: The political economy of primary education in Rwanda‘. Read the WD summary below, and find it in full here. “When it comes to the state’s ability to deliver services to the poor, politics matter. This paper applies a political settlements framework to examine primary education quality in Rwanda. Formal education features prominently into the post-genocide government’s social and economic development project. Rwanda’s political elite have staked their claim in the development of the country, one which is relatively free from rent-seeking. But education quality remains surprisingly low. Enrollment has surged, but primary school dropout and repetition are high. Most children have not acquired age-appropriate literacy or numeracy skills. We sought to investigate why the education sector hasn’t done better in terms of improving quality than we might have expected. This paper draws from interviews and literature review to investigate how policy development and implementation shape the provision of quality education. Our study finds that education priorities were as much political as they were developmental. A lack of real opposition or pushback enabled the government to introduce profoundly transformative educational policies, such as switching the language of instruction from French to English. Often these decisions occurred outside the sector’s strategic planning processes. Performance-based incentives tended to focus on aspects of quality that are measurable, such as the construction of classrooms, rather than improving the capacity of the teaching workforce. We did not find evidence of an effective, sustained strategy to improve education quality. It is thus debatable to what extent Rwanda’s approach can be considered as inclusive development when quality for most children remains so low.